I completely forgot to do my Oscar picks last year. I didn’t watch the show – again – and it was only the next day I read who the Academy of Arts and Sciences bestowed their awards to. I think the main reason why I didn’t bother doing the annual guessing game was because I wasn’t in an Oscar pool. If I don’t have the chance for bragging rights and to collect a few bucks I just don’t care much about the outcome of the Oscars. At one point I did. Way back when I was a young wide-eyed movie lover I used to watch the show every year, get jazzed at seeing all these celebrities in one room, make my predictions and have a fun night. I was even stoked that I got to hold a real Oscar once. Gradually, I grew tired of the whole Oscar game. The shine had worn off for me. The show became very tedious to sit through. Everyone complains about how long it is, but that never bothered me. That’s what the show has always been and always will be – long! But it doesn’t have to be so dull. Plus, I no longer cared who this mysterious Academy decided to award what particular movies with statues. If you look at its history they made some really strange decisions through the years. That was probably due to politics and popularity at the time. The fact that a movie or an actor can state they are ‘an Academy Award Winner’ is meaningless to me. You could see the list of actors or directors who never won one and be totally confused by them not being in the elite ranks. In fact I think it’s cooler for some of the great directors and actors to be able to say they never won an Oscar. That seems more special and unique to me. Sort of like how Susan Lucci became famous for losing those Emmys all those years. Who need’s the line ‘Oscar Winner’ taking up space on anyone’s obituary headline anyway. So, I bailed on the Oscars. It might have been around the time Whoopi Goldberg was handed one. But I’ll do some Oscar predictions this year just for the heck of it. The only Best Picture nominees I’ve seen are The Martian, The Big Short and Mad Max: Fury Road. I liked them all. Between those three I would have given it to Fury Road, but that’s not going to win. It getting nominated in this category was probably a gift by the Academy. It probably confused most of the Academy members whose average age is 103. Isn’t that the excuse every year – they’re old and out of touch or something. Fury Road probably wound’t have squeezed in as a Best Picture nominee if it were still limited to five films. By the way, since they expanded the Best Picture nominees back to their original eight slots does anyone know if it has helped the shows ratings in anyway? I’ve never heard anything about that. They never would, but I’m always hoping they’d fold with the secret votes and we can see just how much this film beat that film in particular categories. That could make things a bit more fun. The other nominees for Best Picture are Bridge of Spies, Brooklyn, Room and Spotlight. I haven’t heard a great deal of buzz about any of those movies. And goodness knows we have to keep on top of the ‘buzz’! 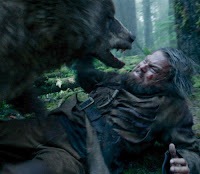 I’ve heard The Revenant getting a good amount of attention. 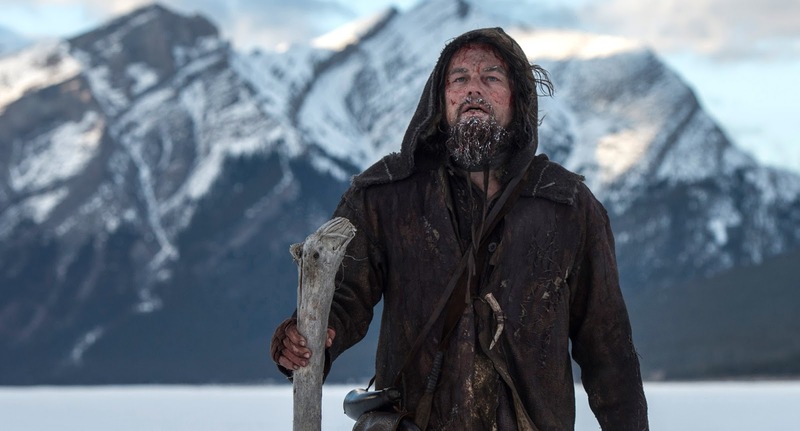 Plus, Leonardo’s DiCaprio goes along with it to win his first Oscar. It doesn’t matter for what movie he wins it for, apparently everyone feels he just deserves one. For some reason people really want to see this happen. Sadly his Oscar-less allure will be put to an end and the Academy will probably give it to him this year. I never understood this philosophy. They’ll ‘make up’ for not giving someone an award they deserved for a performance years earlier or just give them one for their body of work. Like, how they gave Paul Newman an Oscar for The Color of Money. I guess it’s mainly to satisfy what they feel is due to the actor and not really who the Academy deems ‘the best’ that particular year. 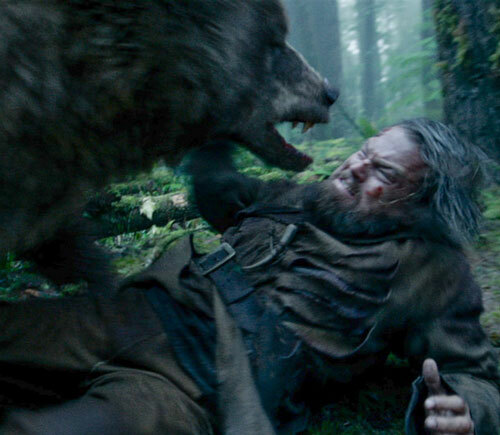 Although, I haven’t seen The Revenant so maybe this is the performance of DiCaprio’s career. Either way, he’ll probably win. In the reverse of this rewarding actors who have gone neglected belief, is the ‘well, that person won last year so we can’t give an Oscar to them again this year!’ logic. Oh it happens on very rare occasions, but everyone is conscious of it and feels like it’s a big no-no. Director Alejandro Gonzalez Inarritu won last year for Birdman. I had completely forgotten Birman won Best Picture last year or Gonzalez won director until writing this blog. That’s the importance I place on the Oscars today. 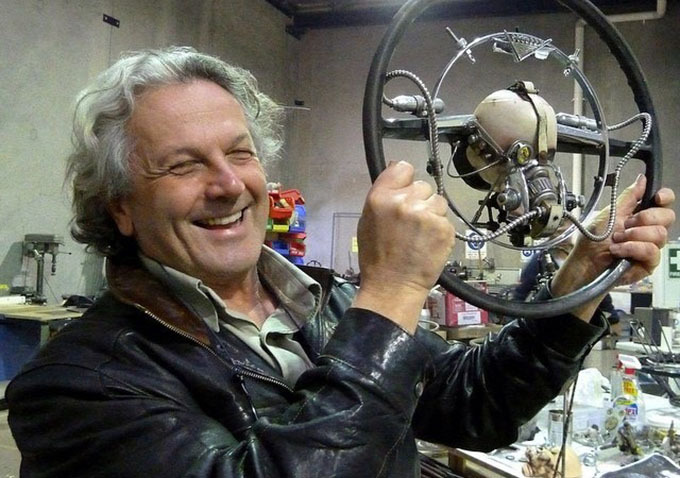 So Gonzalez I think is out of the running and I’m thinking George Miller will win for Fury Road. Good for him! The rest of the nominees for me is a real guessing game, since I’m not familiar with most of the films or performances. I’ve read she’s the frontrunner by people who are much more on top of the Oscar race than me, so I’ll pick her. This is going to get the crowd on their feet and it will most likely be his only chance at an Oscar for acting. She’s been around for a long time and her winning an Oscar the same night as Leo gets his will result in great joy for photographers getting a chance to take pictures of the Titanic couple together. I’m just going to stop here. Anymore predictions I try to do will just be wild guessing. The odds are I will not be tuning into the Oscar show again this year. I’m sure I’ll find something better to watch that night. Maybe I’ll flip to it once or twice just to see if I made the right decision in not watching it. I’ll read the list of winners the next day and if I’m right with any of these guesses will be kicking myself that I wasn’t in an Oscar pool.